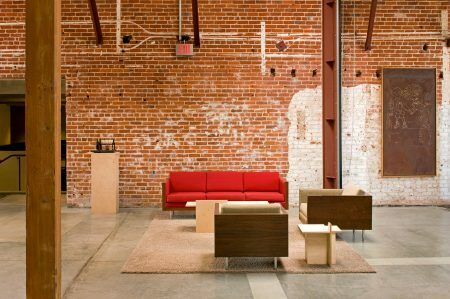 How do you express cultural continuity in three very different spaces with very different programs in very different locations? 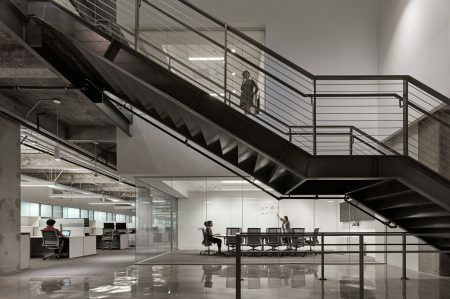 The headquarters of online car sales platform, TrueCar Inc., occupies a two-story office component of the three-story building at 1401 Ocean Avenue. 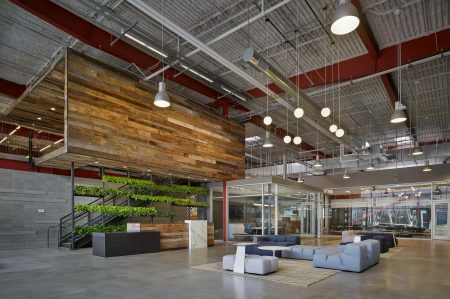 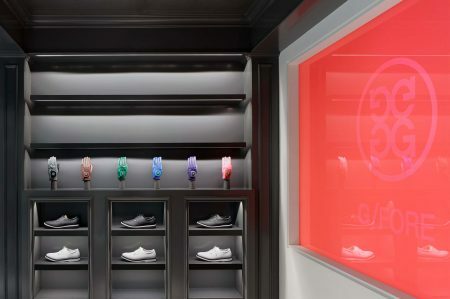 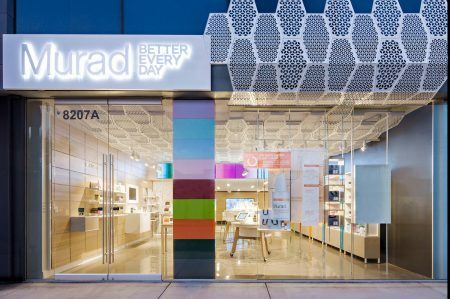 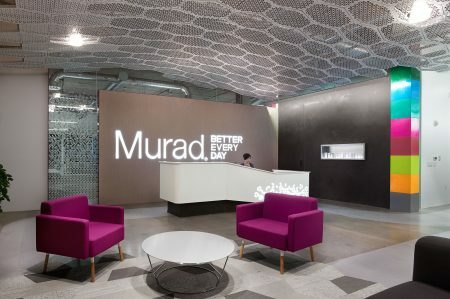 The design strategy for their two Santa Monica facilities as well as their San Francisco facilities­­ were informed by TrueCar’s brand ethos of “transparency through the auto buying experience”. 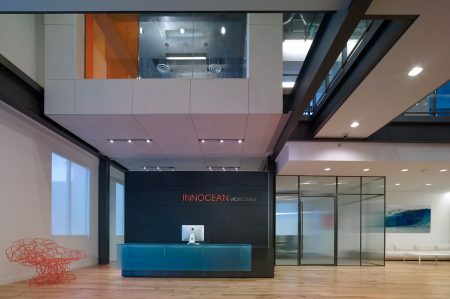 TrueCar’s Ocean Avenue Headquarters penthouse offices, as well as Truecar’s Clock Tower annex, both provide spectacular panoramic views of the sea; consequently, these environments are an expression of the brand by deploying floor-to-ceiling glass walls. 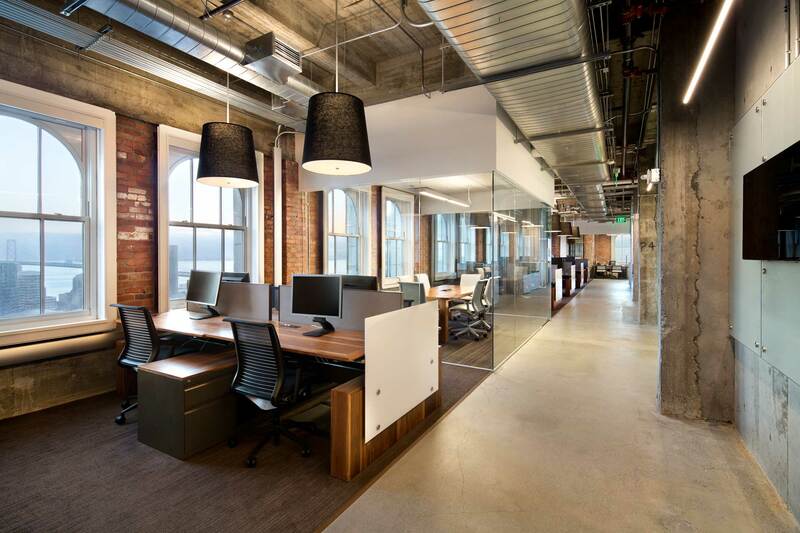 All offices allow for complete visual connection between leaders and their teams. 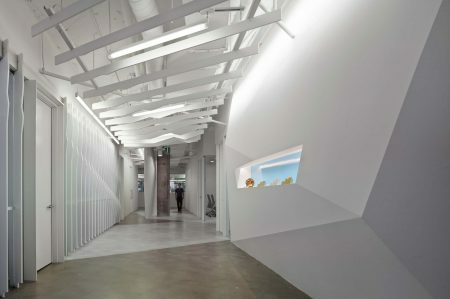 As the collaborative heart of ideation, even the board rooms are deliberately transparent so that everyone can see the collaborations going on around them. 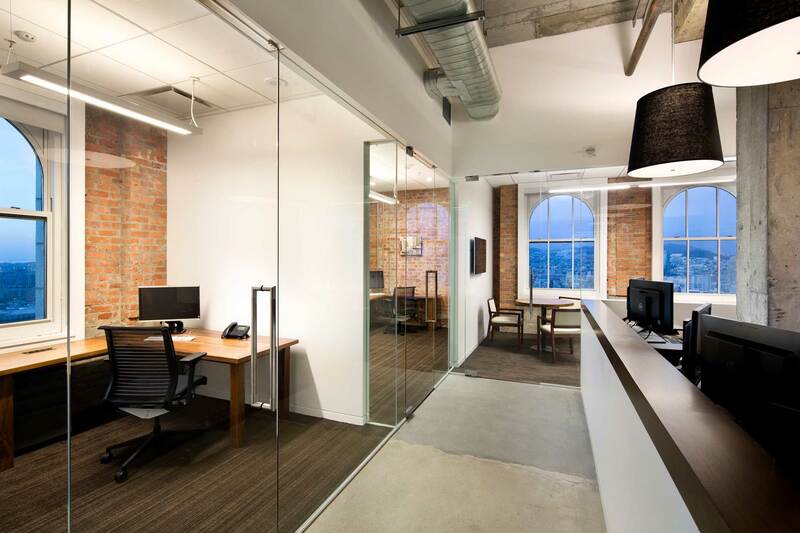 The custom desk system is designed to be efficient yet elegant, with a dash of residential comfort. 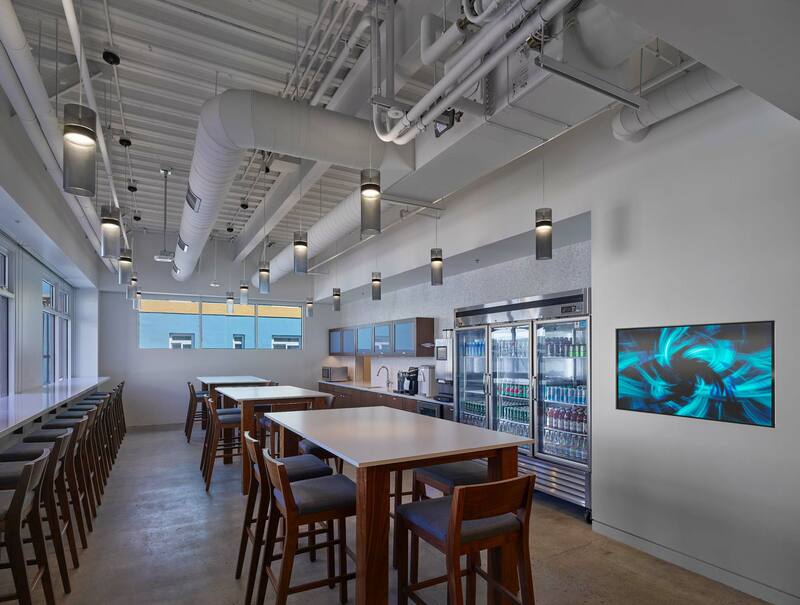 The company aspires to attract and retain top talent and is hoping that ocean views, access to the Promenade’s retail amenities a block away, and a comfortable, contemporary creative workspace will support that goal. 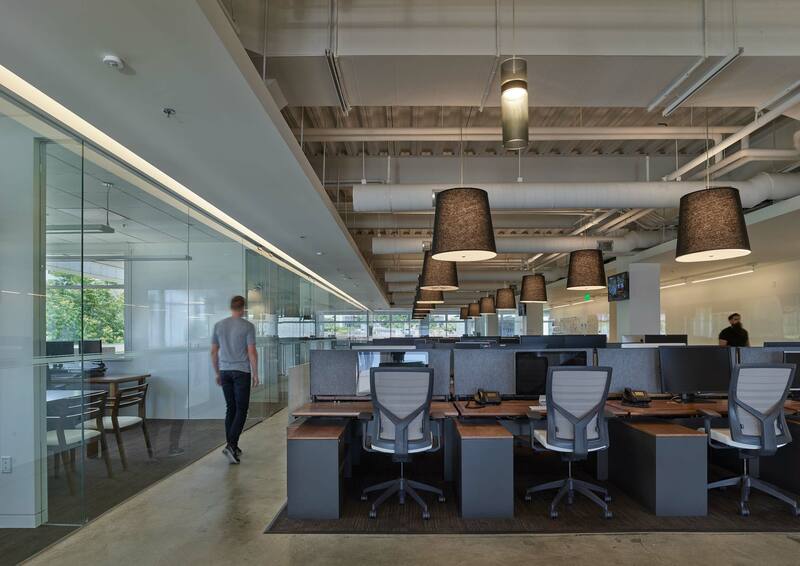 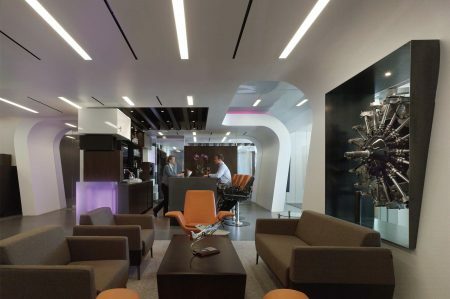 The company’s expanded footprint at the Ocean Avenue offices will accommodate up to 400 employees. 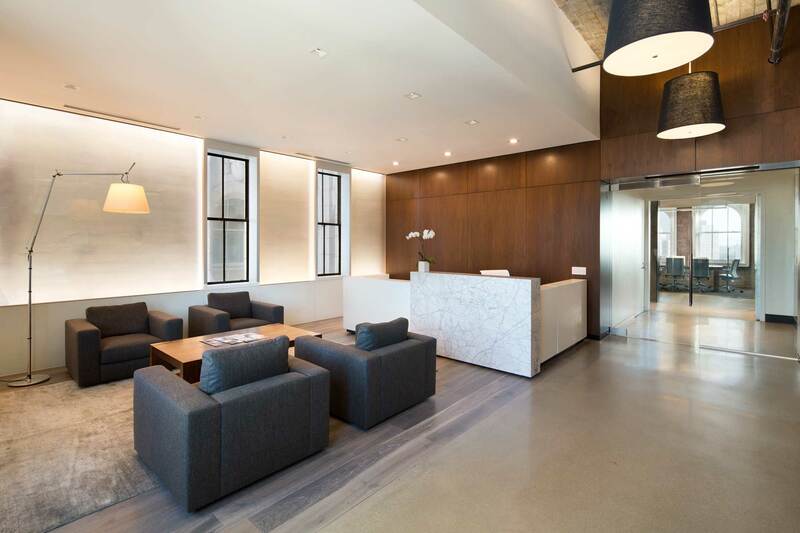 At TrueCar’s Clock Tower annex, a residential feel is articulated through a composition of warm, refined materials. 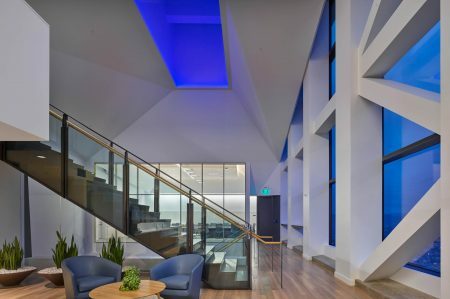 Coalescing work and play, the design intent is to signal a contemporary, world-class amenity with the feel of a private club. 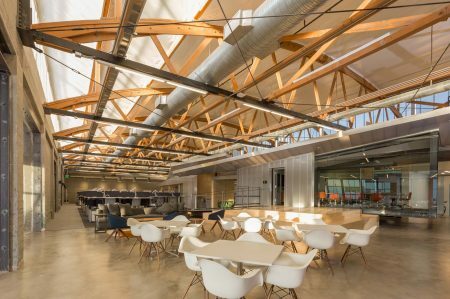 Maintaining its 17,000-square-foot presence perched atop the iconic art deco Clock Tower Building in Santa Monica as their event and conferencing space, it is more a hospitality environment than a serious workplace. 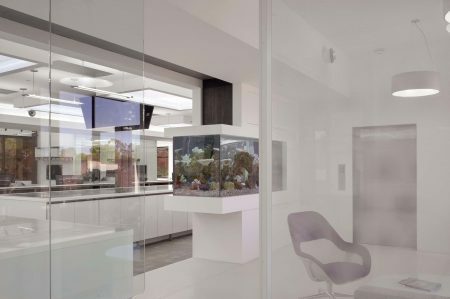 An expansive, understated kitchen is artfully concealed behind custom panels, and is defined by a long, linear marble island which provides an inviting venue for private events, casual meetings and entertaining. 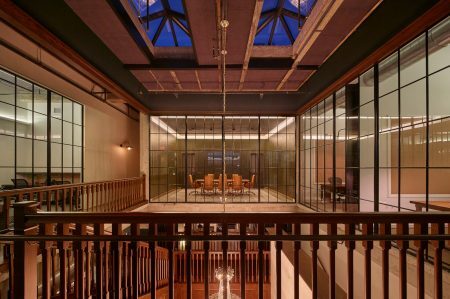 A series of large executive conference rooms are enclosed by large steel frames and glass. 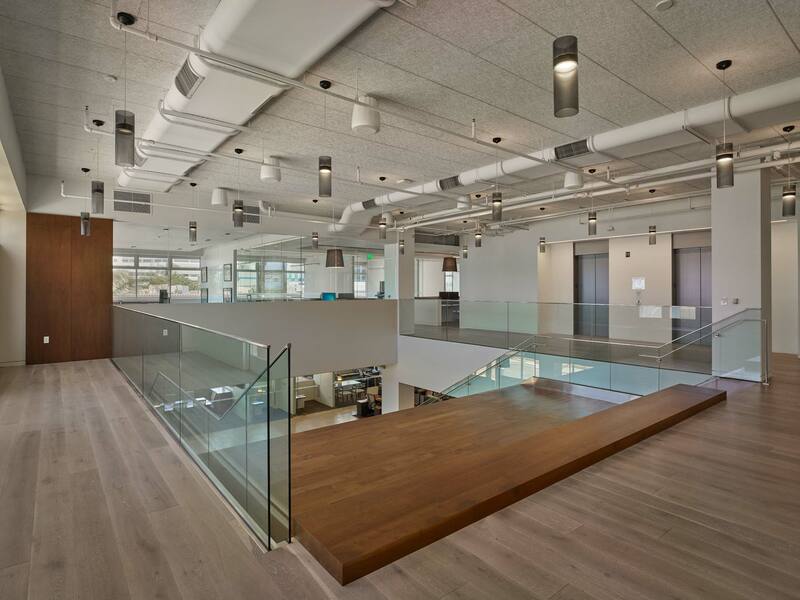 Along the perimeter, a collection of lounges creates informal meeting spaces with framed ocean views. 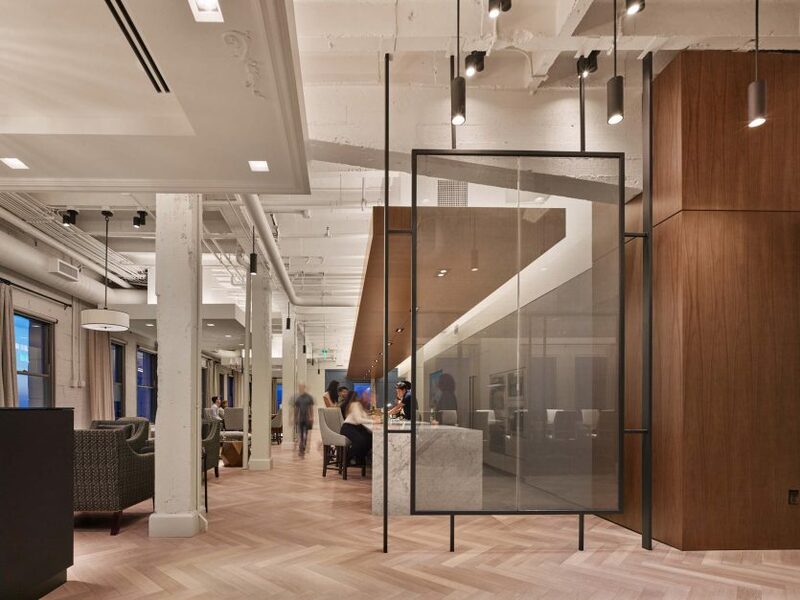 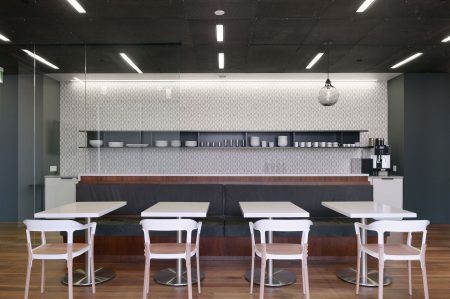 At Truecar San Francisco, carefully articulated design details, a curated palette of warm tones and materials including glass, concrete, and walnut ––all at residential scale–– combine to promote a sense of familiarity, authenticity and belonging. 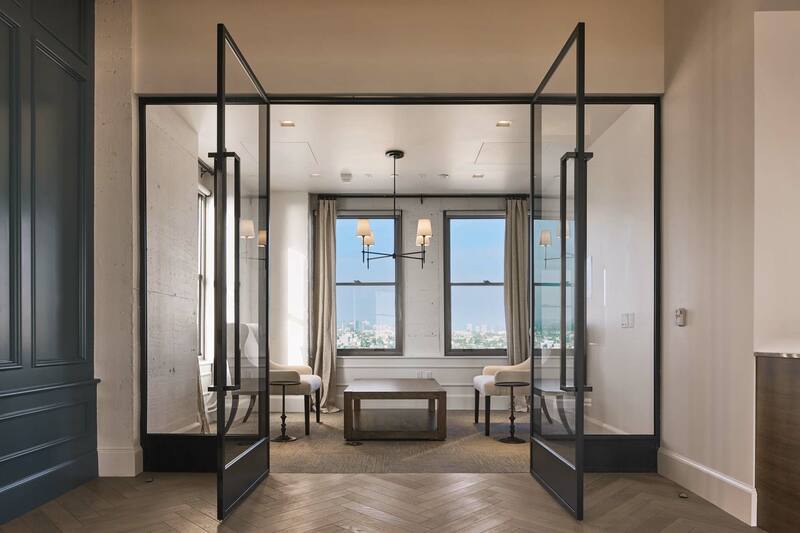 Though it is head-quartered in Santa Monica, TrueCar has taken the entire 24th floor at 140 New Montgomery tower, near the Yerba Buena Gardens and San Francisco Museum of Modern Art. 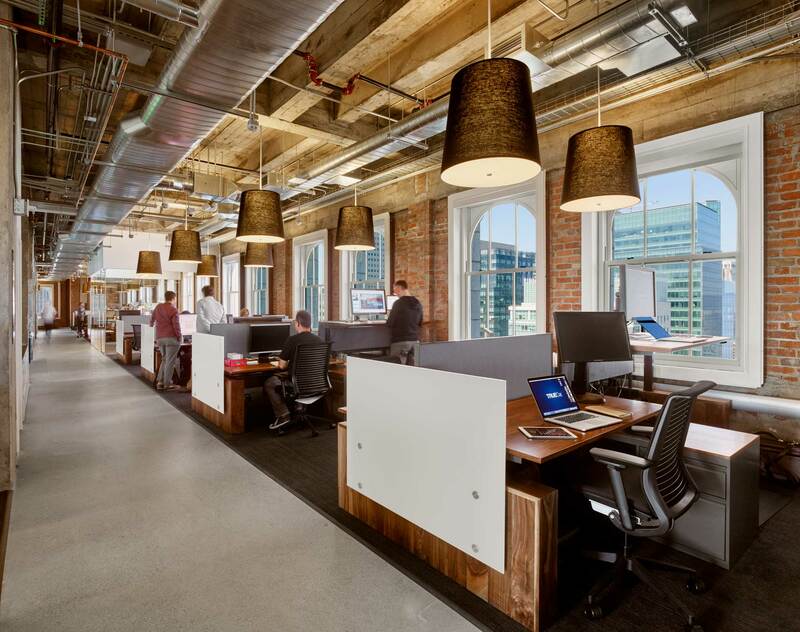 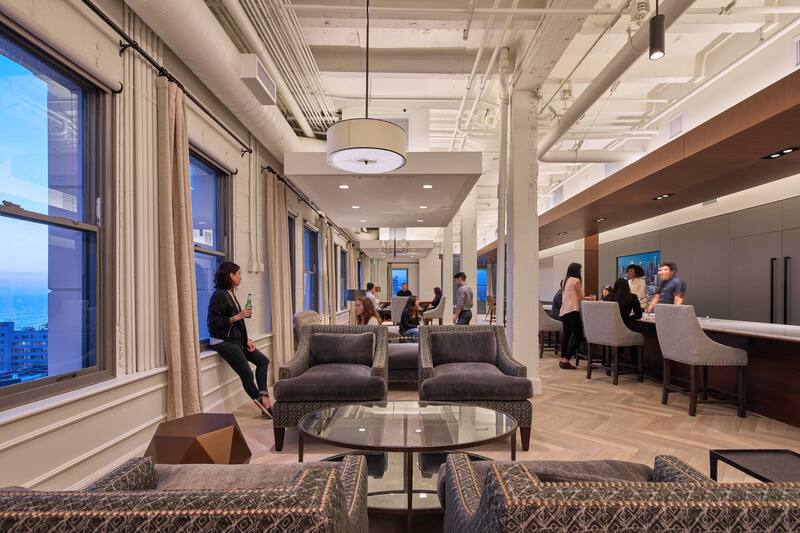 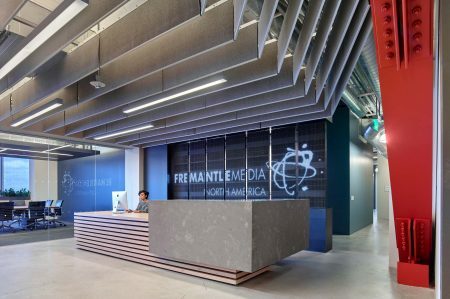 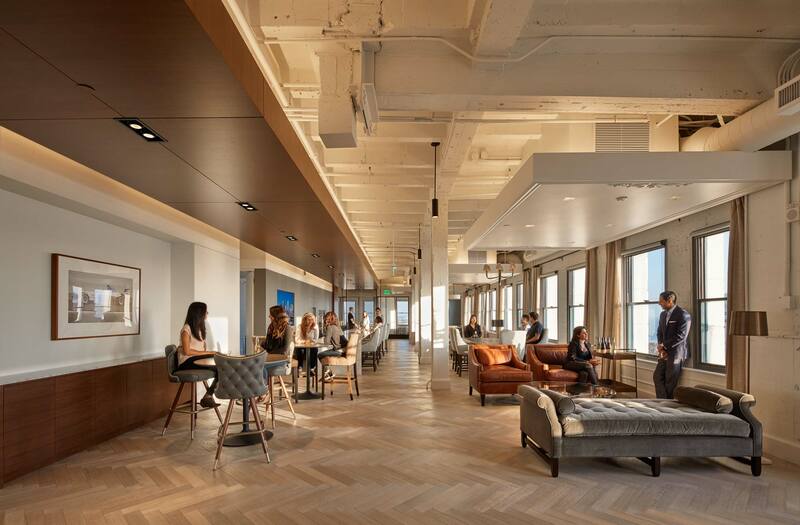 Occupying 8,300 square feet at the landmark former Pacific Telephone & Telegraph Co., the intention is that Truecar’s advanced research and development will occur in their San Francisco office. 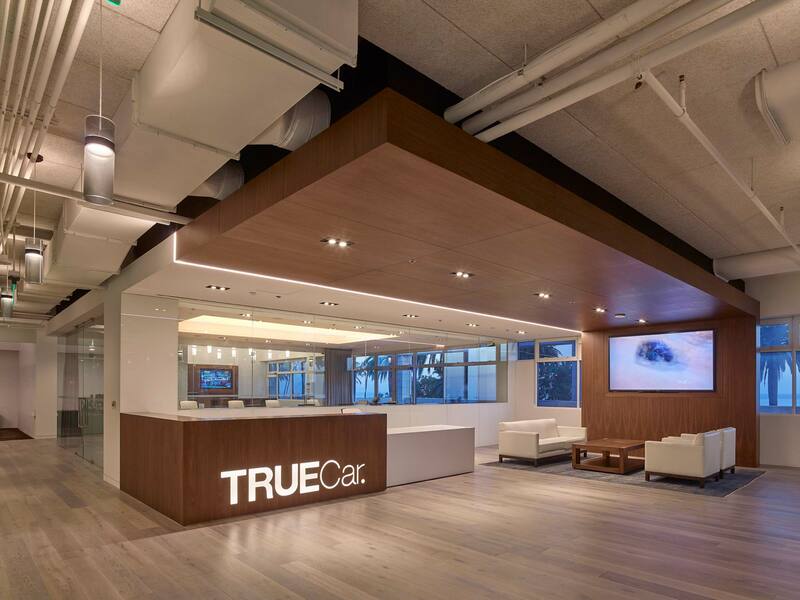 TrueCar has a staff of about 30 in San Francisco, and plans to grow to about 65 by opening a new 8,300-square-foot office in San Francisco’s SoMa district to house their expanding engineering and data analytics teams.